IN THE cold Judean night, the new mother kept looking lovingly at her fresh-born son. The innocent eyes of the baby softened the mother’s heart. She was exhausted after a long and arduous trip and a tiring delivery. But her heart was full of joy and peace. It was a moment of deep mystery as her eyes rested on the tiny figure wrapped in swaddling clothes. Her husband had no words to say as he too marvelled at the child. The animals in the stable looked quietly at the scene. In silence, all eyes beheld the face of God in a tiny new born baby. Much was happening that night. Heaven was busy sending angels to announce the good news to simple shepherds in the fields outside Bethlehem. The shepherds rushed to the place and joined that amazing scene in the stable. They saw the mystery and came back with much joy and rejoicing. From the holy silence, they came out breaking forth with joyful praise. God had kept His promise. He had come to earth to be one of us. Scripture says that Mary, the new mother, treasured up all these things and pondered them in her heart. (Lk. 2:19, see also Lk. 2:51). 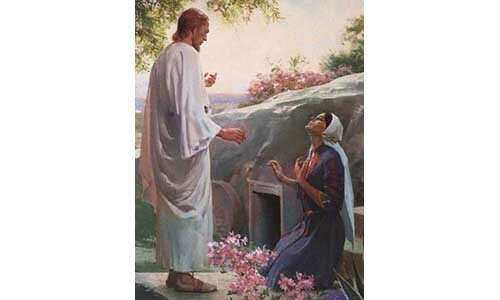 She reflected quietly and deeply on the mystery of God becoming man, the Word becoming flesh. We too need to do the same this Christmas. Why did God become a man? The writer of Hebrews explains: Since the children have flesh and blood, he too shared in their humanity so that by his death he might destroy him who holds the power of death – that is, the devil – and free those who all their lives were held in slavery by their fear of death. (Heb. 2:14-15). God was born a man so that He might die our death to free us forever. Jesus came not to help angels but human beings. For this reason he had to be made like his brothers in every way, in order that he might become a merciful and faithful high priest in service to God, and that he might make atonement for the sins of the people. (Heb. 2:17-18). It was because God wanted to save us from sin and death that He had to become a man. If He had not done so, this would not have been possible. It was the 4th-century Athanasius who took up this biblical point when he wrote, “The Word of God came in His own Person, because it was He alone, the Image of the Father, Who could recreate man made after the Image.” The image of God in us that was marred and lost in us could only be recovered if God became man. Athanasius used the illustration of a portrait on a panel that becomes obliterated through external stains. Instead of throwing away the panel, the artist gets the subject of the portrait to sit for it again so that his likeness can be redrawn on the same material. 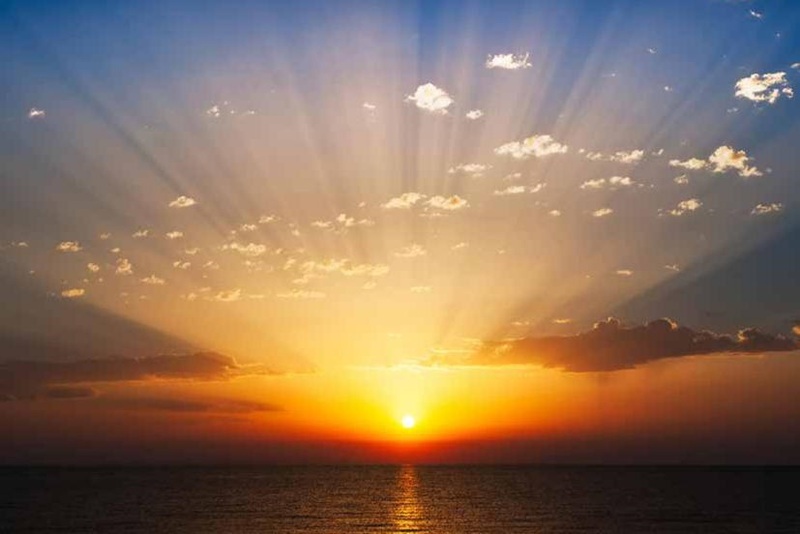 JESUS is that Subject in whose image we are being re-created “as we gaze on (His) kingly brightness”, as the song goes (cf. 2 Cor. 3:18). Athanasius put it succinctly when he declared, “God became man so that man may become like God.” It is for this reason that God, in Jesus, came to us, that the Word was made flesh. This coming of God into our midst should not be taken lightly. Jesus was fully man and fully God. We must never forget this, and understand the implications of what we profess to believe. God became man and came to dwell among us. In the first place we should be trembling, as we would, in the presence of God. The birth of Christ is good news only when it is first frightening news to us. The shepherds were terrified (Lk. 2:9) when the angel came to announce the birth of the Saviour. They were shivering not only because of the cold but because of the implications of God’s visitation. Terror turned to amazement, and amazement to joy when they began to realise that God had come to earth as a man. read, Because he himself suffered when he was tempted, he is able to help those who are being tempted. (Heb. 2:18). Or again, we do not have a high priest who is unable to sympathise with our weaknesses, but we have one who has been tempted in every way, just as we are – yet was without sin. (Heb. 4:15) In Jesus, we have God who understands us perfectly because He walked the streets of this troubled world, among beggars and the deadly sick, the sad and the wicked. He Himself was at the terrible receiving end of wicked men and was tempted by the devil the same way we are. When He speaks to us, He speaks as One who has been through it all. He speaks with empathy and compassion. In this uncertain world, God has come to be with us. 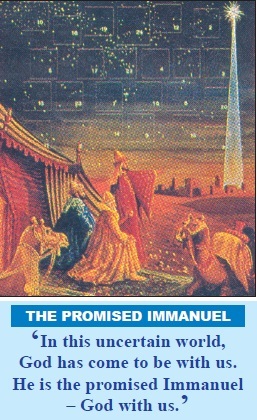 He is the promised Immanuel – God with us. The saving, healing and protecting shadow of God comes near to us through Jesus. No one need live without hope again, no one need suffer loneliness and despair again, for our Saviour has come to be with us, to bring us to our true eternal Home. Some of these thoughts must have passed through Mary’s mind and rested in her heart. She treasured these truths. Above all, the Saviour she carried in her womb was born, and now He was born in her heart. He was the great Treasure of her heart. Her womb held Him for only nine months, but her heart will hold Him forever. We too are invited to find this Treasure of Christmas, and to keep Him and cherish Him in our hearts forever. If we have Him in our hearts, we will indeed tremble – with awe and joy.